With the placemat by Design Letters, children not only learn to eat, but also playfully learn the ABC with the letters by Arne Jacobsen. Made from silicone, the placemat is particularly easy to clean. The placemat shows a fork, knife, soup and dessert spoon and a plate by Design Letters on a black background. With the mat, children can learn easily how to properly set a table based on the illustration on the placemat. Designed in the usual minimalist style, the dishes on the table mat are decorated with the distinctive letters of Arne Jacobsen matching the other kids’ dinnerware by Design Letters. Matching the table mat there is the kids’ tableware pictured on the placemat with knife, fork and spoons and matching plates as part of the Kids collection by Design Letters. 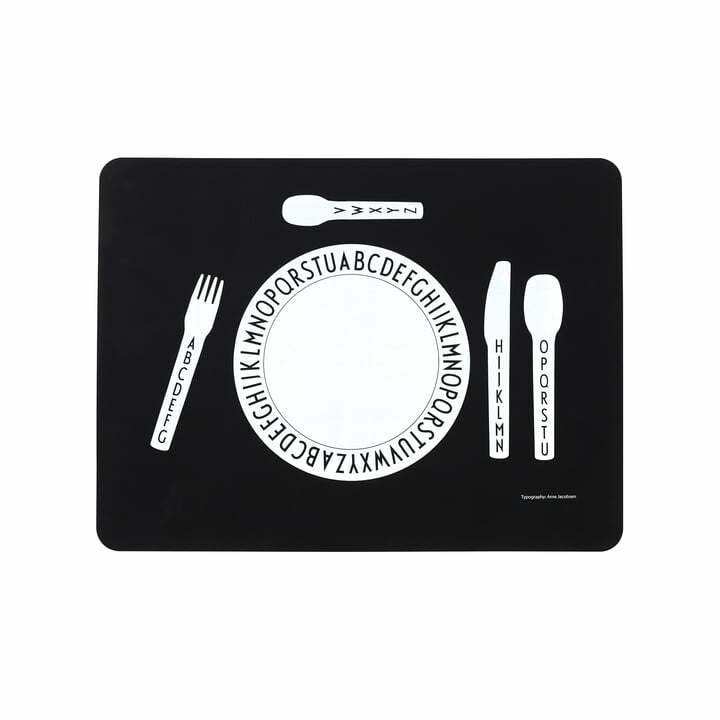 Individual product image of placemats made of silicone with the alphabet by the designer Arne Jacobsen on fork, knife, soup and dessert spoon and plate by Design Letters. 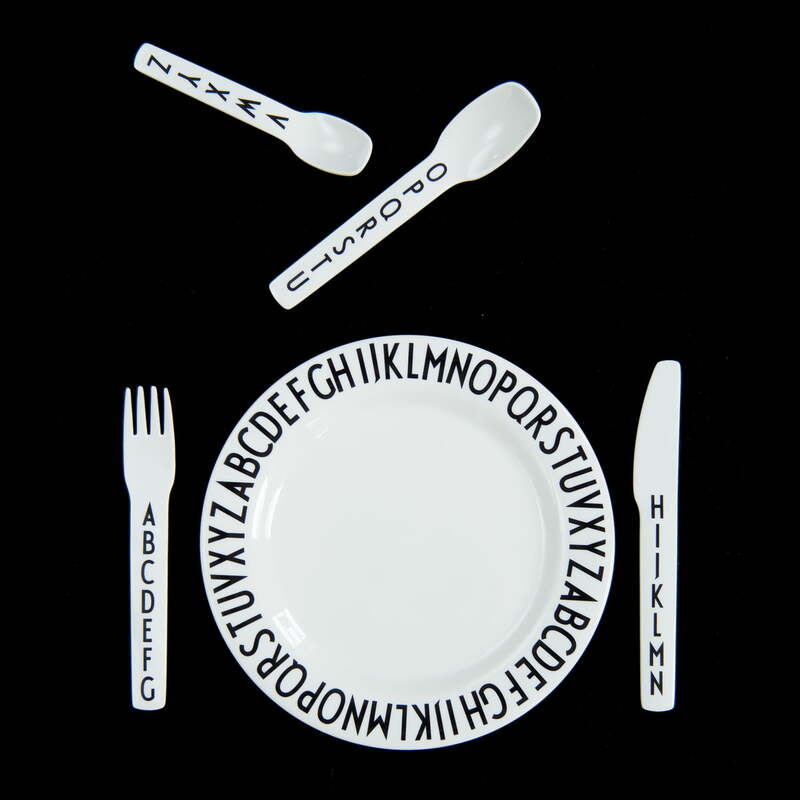 The elegant tableware by Design Letters with the AJ melamine cutlery and plate made of melamine is suitable for the young and old design lovers. The dishes in the Arne Jacobsen typography design make learning the ABC child's play.